This is a pair of Impulse 1.9" Black Plastic Internal Bead-Loc Wheels. 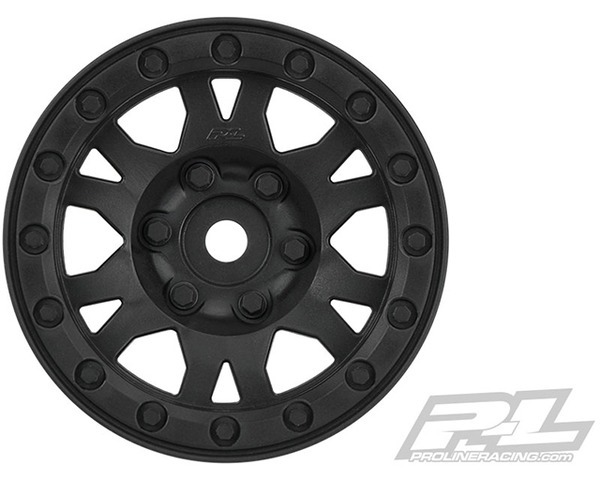 Pro-Line is proud to introduce our new Impulse 1.9" Black Plastic Internal Bead-Loc Wheels that are Proudly Made in the USA! These all-new Impulse wheels are designed to not only look scale but to be super easy to use by only requiring 6 screws per wheel for mounting tires. The unique 3-piece plastic wheel design bolts together in the back and locks on to Pro-Line's incredible list of 1.9" Crawling Tires.